Good Faith is a true attempt, Bad Faith is an intentionally dishonest attempt, Duty is the moral and ethical obligation to make Good Faith attempts. The moral and ethical distinction between Good and Bad Faith is of the highest importance in legal philosophy (and philosophy in general). Good Faith: Is a sincere intention to be fair, open, and honest, regardless of the outcome of the interaction. It is a “just” attempt. Duty: Is the moral obligation that compels us to act (that which compels our ethics). It is a moral concept that applies to the physical, logical, ethical, and moral. Although I can’t perfectly explain what I mean and need to think more on it, we can say: The highest form of Duty is a moral duty (like the enlightened morals of a philosopher king or Pope that guide their just action), the second highest an ethical duty (like a doctor, officer, or good lawyer; action guided by ethical rule-sets), the third is a logical duty (like an employee who respects their job but feels no deep attachment and is instead working purely for the capital; or the Duty that comes from applying reason and critical thinking in terms of any subject), and then the lower forms involve more mundane and physical duties (like the very important, but very physical, duty to do chores around the house). In other words, the highest form is pure moral obligation, the next is learned ethics compelled by morals and reasoned rule-sets, the third is duty compelled by pure logic (like don’t steal because you’ll go to jail, or 1+1 must always equal 2, even if a politician tells us otherwise), the last is a broad category that covers things like cleaning the dishes and taking out the trash (they aren’t just logical, but necessary). Duty is one of the highest virtues, and thinkers have wrote volumes on it, so forgive me if I didn’t explain it perfectly here. See CICERO DE OFFICIIS Book I (continued) for an expert take on the matter. And Good Will: The concept of Good Will should have its own page, but it is related. It is, as Kant suggests in his Groundwork for the Metaphysics of Morals, a sort of aristocracy of virtues. It describes the “good” intentions behind Duty and Good Faith. Bad will would be the antithesis. TIP: Thus, we can consider Good Faith, Bad Faith, and Duty in any category listed above. Filial duty, duty to the state, moral duty, legal duty, and countless other forms. These terms are deceptively important, as Duty is one of the highest virtues, and our Duty compels us to act ethically, to act ethically we must act in Good Faith, and to act in Good Faith we must have some sort of moral and ethical compass (a sense of Duty). 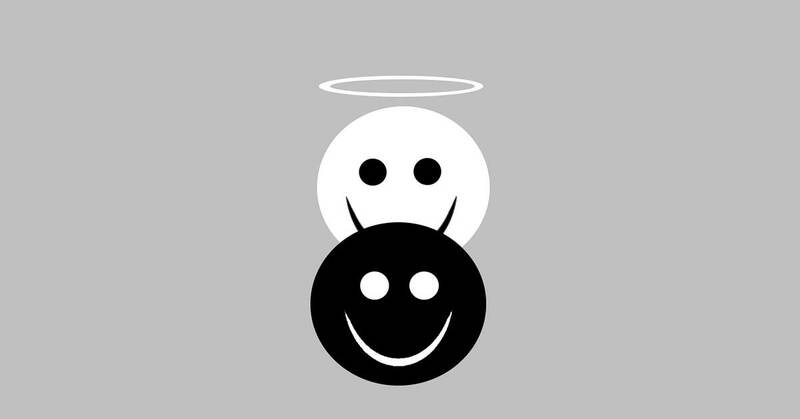 In fact, acting in Good Faith, in-line with our Moral and Ethical Duty, is essentially synonyms with the more ethereal concept of “being good” (as opposed to being “bad” or even “evil”). The whole of the ethical, moral, legal, and natural law aside, the concepts of Good Faith and Bad Faith have been applied in other ways too, especially in modern times. Specifically we can use Sartre as an example. Sartre applied the concept outside of the legal sphere to his existentialist philosophy. For Sartre the idea of giving up on “Bad Faith” attempts at essentialism was the key to finding our own meaning in life. This may seem very different from the idea of moral Duty, or contract law, but in truth all these concepts share a certain spirit. SARTRE ON: Bad Faith. Trying to rationalize that which has no reason is bad faith. Looking for intrinsic essence is a fools errand. Taking gospel as gosepel is a waste of time that could be spent searching for true meaning. Not to mention what some consider as the original purpose of religion, as Rousseau explains the Social Contract Book 4 Chapter 8 Civic religion. Moving away from the more metaphysical, there is certainly also a mundane physical aspect to the subject too. For example, a lazy limp-wristed attempt to pay the insurance bill where one calls the insurer once and then gives up when they don’t answer, is empirically provable to not a Good Faith attempt. This could result in one having no appeal options when their contract is dropped. Meanwhile, if you try to pay the bill, and that is on record, you have made a Good Faith attempt, and the insurer will likely re-instate a dropped contract. Here we can note that generally speaking, in contract law, one must make a real and true attempt to fulfill a contract. If a true attempt is not made to fulfill a contract, then it can actually nullify or call-to-action certain clauses of the contract. This means that the concepts are at the heart of democracy and economics and capitalism too. If our sense of Duty did not compel us to act ethically, capitalism and democracy would not work (and here we can note that corruption really works against our natural moral sentiment; but that is another story). Still, even though the above factors of contracts and economy may seem more mundane than “the moral duty of a theoretical philosopher king”, we would be fooling ourselves into thinking even those simple and mundane examples didn’t require us to make ethical and moral judgements and to consider Duty. Contract Law – Duty of Good Faith. It is a intentionally dishonest fool’s errand for a physician to try to cure cancer with snake oil, it is a fool’s errand for a physicist to try to show that the earth is flat, it is a fool’s errand to “try” to pay a bill without making an honest attempt, and again it is a fool’s errand to try to look for essence where there is none (or at least Sartre thought so; we don’t all agree on that one). In other words, in any matter, but especially in the matter of legal issues, a Good Faith attempt is a true attempt in which there is some modicum of possibility the desired result will occur (or if otherwise there was a moral or ethical duty to act despite improbable results), and a Bad Faith attempt is a false attempt in which there was no possibility the “claimed” desired result would occur (or if otherwise there was a moral or ethical duty to act and action was not taken). If a woman is about to get hit by a bus, and you think you may have time to push her out of the way, it is “Bad Faith” to not try and “Good Faith” to try even if you fail. You have a Duty to “do the right thing”, and even if you don’t think so, in many cases the Civil Law does. One who makes Good Faith attempts displays ethical and moral qualities, one who holds to their Duty wisely displays ethical and moral qualities, those who act out of Bad Faith (and those who don’t have a sense of Duty) illustrate a deficiency of ethics and morality. The concepts of Duty and Faith in this respect are so ingrained in the human condition, and so respected by the laws of our Republics, that they act almost as overarching First Principles in most areas of life. One should seek to act in Good Faith, if they do, they will foster justice within themselves, garner more respect, and avoid breaking contracts… including the social one.